The latest iteration just announced is the Canon EOS C200 EF Cinema Camera which has some serious performance improvements over the current price/performance kind in their camera line. The new camera slots between the lower priced C100 Mark II and the more professional 4k C300 Mark II. However the C200 records in 4k RAW Light format which gives 15 stops of dynamic range with all the benefits of RAW editing with some compression. The other big feature is improved full-time dual Pixel Autofocus which now predicts motion coming closer and further from the camera more accurately than before, preserving natural looking focus transitions. For Slow Motion fans, the camera is now competitive in 4k higher frame rates with 50p and 60p 4k UHD recording with 10 bit 4:2:2 Canon RAW Light. 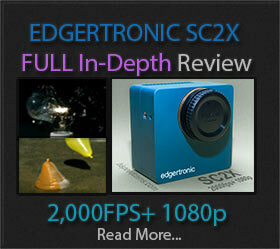 Also 120fps full HD 1080p with no sensor crop is continuous/ unlimited and records to SD cards. Looking at the previews, it is clear that Canon is finally playing their cards when it comes to price/performance in order to stave off Sony and Panasonic from eroding their camera lines when it comes to ownership. The bold move of including a new codec like Canon RAW Light which at 1Gbps is enormous / 125 MBytes a second would fill up a 128GB CFast 2.0 card in just 17 minutes. You better start buying more storage if you plan on getting this camera and recording RAW. Fortunately, they also allow recording on MP4 format at 150Mbits/sec which is in line with other more normal storage requirements, however, it is only 4:2:0 8 bit which is a non-starter for many when it comes to color grading. There is also the fact that Canon is developing a future software update for the C200 that will allow XF-AVC in 4:2:2 10 bit to solve the color issues on compressed video. When it comes to slow motion the quality from the samples seen so far in the video previews we have shared is very good with both color, dynamic range and lack of artifacts all welcome signs. The 120fps mode will be a joy to use considering the camera is not cropping the sensor and you are getting a fully sampled image to create buttery smooth footage from this mode. Even when now it is limited to 4:2:0 8 bit. It is unclear at this time if the XF-AVC update will apply to the slow motion mode. One thing to note is that the 4k 50/60p is also able to record in Canon RAW Light at 10bit and not the full 12bit of the 24, 25 and 30p modes of DCI 4k and UHD. At $5,999 for the body only it is still an expensive proposition for camera ownership. You still have to factor in CFAST 2.0 cards a plenty to use the RAW recording feature and lenses if you plan on getting a few. The most sensible option for the Canon C200 is the $7,499.00 configuration which is shoot-ready sans recording media. You get 15 stops of dynamic range on an excellent sensor with very good low light abilities. The continuous dual Pixel AF feature which is top class when it comes to dependable Autofocus and a form factor that is hard to pass up with improvements in many aspects to previous cameras like the built in ND filters which should liberate most operators from Variable and fixed ND filters. 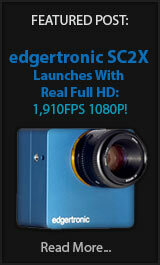 We will have to re-examine the C200 as a slow motion camera when more samples are released. Previous PostChronos 1.4 Footage From Final Camera is Great!Next PostChronos 1.4 First Day Test Footage !